Get kids excited to read every day! 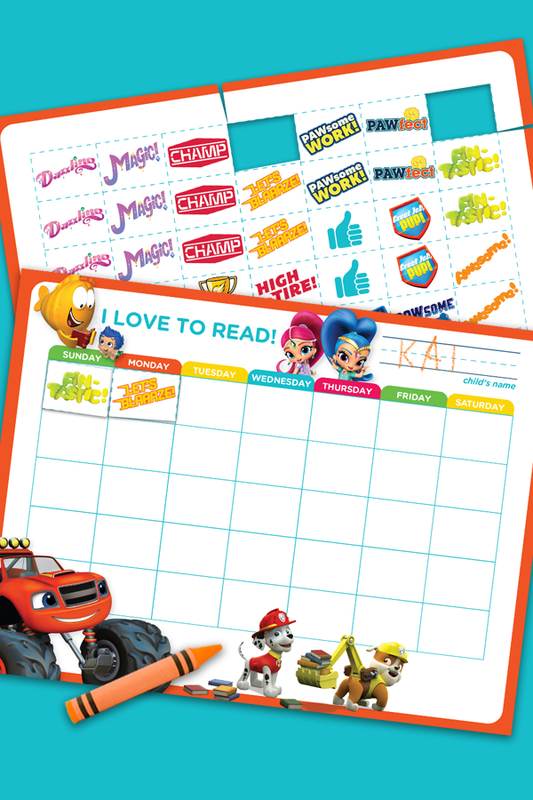 Sticker rewards from Blaze, Shimmer and Shine, Bubble Guppies, and PAW Patrol will motivate kids and help them track their progress every week. At the end of each sticker-filled week, why not reward your child with a trip to the library?